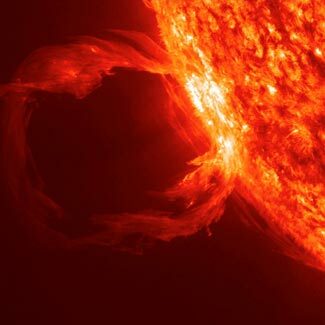 A solar storm such as this, if it hits the earth, could destroy much/most of all our electronics. Of all the risks we anticipate and prep for, an EMP event is perhaps the most terrifying. A single well-placed EMP bomb could destroy much/most of the electronics in the entire US – oh, and in most of Canada too, resulting in an instant collapse of almost everything. EMP events can come from two different sources. One is a deliberate act by an aggressor nation or terrorist group, launching a specific EMP causing device and activating it high above the US. This is, unfortunately, very much easier to do than you might think – an EMP device is nothing more than a regular atomic bomb on a regular ICBM, possibly with some modifications to enhance its EMP yield, and detonated at high altitude rather than close to the ground. The other source is at least as fickle as the first, and whereas there have been no deliberate EMP attacks by people, this other source has attacked us repeatedly with EMP events. We refer, of course, to the sun. The sun is not a steady constant energy source. Like a regular fire, it has variable hot spots and cold spots, and sort of analogous to a fire sometimes sparking out some embers that might land on our carpet, so too does the sun sometimes eject massive bursts of energy that have the same EMP effects on electronics. We talk about the dangers of solar storms in a series of articles here. There have been solar storms in the past that were sufficiently strong to destroy electronics, but they have happily occurred prior to our current total dependence on micro-miniaturized electronics. 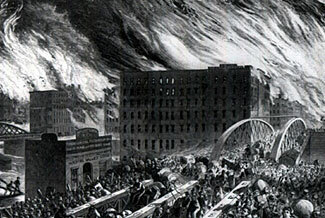 The most significant past event that we’re aware of was in 1859, and was so extreme that it melted telegraph wires across Europe and North America. We can only guess as to how many past events there have been, because prior to about that time, there were no electrical devices for solar storms to affect. If a solar storm similar to the 1859 event occurred now, it would of course destroy much of the world’s electronics. In order for this to occur, two things need to both be in place. The first, of course, is for a sufficiently strong solar storm to erupt. The second is for this solar storm to intercept the earth in its orbit. The good news is that it requires an unusually large solar storm to do the sort of damage we need to be concerned about, and the further good news is that the earth is a tiny spec, 93 million miles from the sun. Most storms pass harmlessly by, and come nowhere near the earth. But, as we know, sometimes they don’t miss. Sometimes, as in 1859, they do intercept the earth. A not so strong smaller storm also hit (but only parts of Canada) in 1989. Sooner or later, a massive sized solar storm will hit the earth again, and it will destroy much/most of our society’s infrastructure. When will this occur? No-one knows the answer to that, any more than anyone can tell you how many times you need to roll a pair of dice before you get a double-six. But we do know, as this article reports, that just a couple of weeks ago we narrowly missed a solar storm that would have destroyed us, and as we report in this earlier article, experts say there is a 12% chance of being hit by such a storm sometime in the next ten years. Oh, and as we report in this article, 2013 is a year of greater than normal solar storm activity. Back to the dice. We don’t know when we’ll get the double-six, but we do know that it will appear sooner or later. Similarly, we don’t know when the next 1859 style solar storm will hit us, but we do know that, sooner or later, it will. Emphasize the sooner, because experts suggest there’s one chance in eight (ie 12%) it will happen in the next decade. How lucky do you feel? Tell that to your friends the next time they poke fun at your prepping. Depending on where you live, there’s more chance of a solar storm induced EMP destroying every part of their lives than there is of an earthquake, tsunami, or volcano. Many people fear these other types of relatively minor and essentially regional disasters; perhaps it is because the EMP event is so huge that it overloads our ability to comprehend the consequences and we find it easier to ignore it than to confront it. That’s why we are preppers. We choose to confront these challenges and prepare for them. We should encourage our friends and family to do the same. Our amazingly convenient and increasingly essential GPS service is also terribly vulnerable to five different forms of attack. We offer this report to you not as an example of how the world as we know it might end, but just as another example of how the more sophisticated the systems and services we surround ourselves with, the more vulnerable we become. The convenience they offer us blinds us to the added degree of dependence on which our lives and life styles are based. Back in the ‘good old days’ – ie before ubiquitous GPS, people would go places based on maps. Remember the annual Rand McNally books of maps? And remember how they’d pressure us into buying a new one every year, due to ‘50,000 changes since last year’s edition’ or something like that? Remember also buying (or being given!) maps at the gas station? Do you even have a map book now? For many of us, the answer is no. Now – here’s the thing. Your map book was failure-proof. Apart from leaving it behind, or the dog eating it, it couldn’t fail, right? Maybe it wasn’t the most convenient way to navigate your way from Point A to Point B, but it always worked. If we go off-road, we might formerly have augmented our maps with a compass as well. A compass relies on the earth’s magnetic field, and although there are some thoughts that the magnetic field could flip around some time in the next some thousands of years, for our lifetimes, it is probably safe to say the earth’s magnetic field is about as reliable a thing as the sun rising in the east every morning and setting in the west each night. Apart from the compass itself breaking, the underlying principle of compasses is 100% reliable, and compasses themselves are relatively easy to repair or improvise in an emergency. A compass is a perfect low tech device that relies on nothing external to operate. It doesn’t even require any electricity. Nowadays, maps and compasses have been superseded by digital GPS units that rely on signals from satellites in space, 12,000 or so miles away that the units use to calculate their position, their heading, their altitude, and their velocity. Unfortunately, those signals are vulnerable to interference, and the receiver units are vulnerable not only to jammed signals but also to fake signals that can upset their logic and calculations. This article tells of how researchers at Carnegie Mellon University created a device that cost no more than $2500 to build, and which caused every GPS unit it then broadcast a signal towards, to crash and cease operating. Puzzlingly the article’s lede says that up to 30% of GPS receivers could be taken offline by one of these units. The puzzle is – where did the ‘up to 30%’ come from, when every unit tested was made to crash? Shouldn’t the article say ‘100%’? Or would that be too frightening for the general public? Maybe the 30% figure means that a single 45 second broadcast from one of these $2500 devices would disable 30% of all GPS units, everywhere on the planet. In other words, position the device in the center of the US, turn it on, and in less than a minute, every GPS receiver in or above the US, or in the waters around the country, will crash. Never mind. The purpose of our commentary is simply to point out how something that has become so ubiquitous and almost essential (not so much for our navigating between home and work each day, but for ships at sea and airplanes in the sky, especially if flying through or above clouds) and also now very much taken for granted, is also something terribly vulnerable to electronic attack. Indeed, there are five different vulnerabilities that GPS units suffer. The first is an attack on the GPS satellites. If an enemy power was able to destroy some or most of the satellites, our receivers would no longer have enough satellites to lock onto and calculate a reliable position from. The second vulnerability is from EMP attack – an EMP pulse would likely destroy the electronics in most GPS receivers. The third vulnerability is having the GPS signal jammed. That is very easy to do. 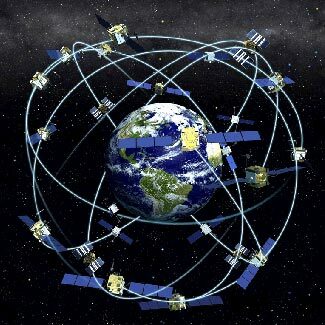 The GPS satellites have very weak radio transmitters which are also far away from the receivers (about 25W transmitters, which are 12,000 and more miles away from the receiver), and so stronger transmitters that are closer can easily obscure the ‘real’ GPS signal and confuse the receiver as to where it is. The fourth vulnerability is GPS spoofing. Instead of just jamming the real GPS signal with random jamming ‘noise’, a sophisticated enemy can replace the weak real GPS signal with a stronger overriding fake GPS signal that makes the GPS receiver think it is somewhere else. This type of technique has been used by terrorist cells to take over our reconnaissance drones. The fifth vulnerability is sending confusing signals that cause the micro-processor inside the receiver to crash – the vulnerability the article discusses. Note that the researchers concede that a determined attacker faces no huge obstacles (to mounting an attack that would cripple the world’s GPS). This teaches us two things. The first thing is that we can’t take anything for granted. Although GPS seems stable, mature, and ultra-reliable, it has five different forms of vulnerability which could be exploited at any time. Sure, losing GPS across the country won’t threaten a plunge into a nightmarish level 3 situation, and we’re not suggesting it would. But if something so stable and certain and safe as GPS is actually totally vulnerable to attack, what else is out there that could also be similarly vulnerable? The second teaching point here is that as preppers we need to have backup systems and solutions that are low-tech rather than high-tech. An EMP type attack is a real danger, and if such an event were to occur, we – and the rest of the country – would suddenly find that 95% of our electronics had failed. Are you prepared to convert your existence to one with no electronics and no electricity? Unless and until you can say ‘yes’ to that, you’re not truly prepared. This is what an EMP explosion would look like from a distance – widespread red air glow and dark clouds. Those of you in the Seattle area probably associate the letters EMP with Paul Allen’s quirky Experience Music Project at the Seattle Center. But that’s most definitely not what we’re sharing with you now. We’re talking, instead, about electromagnetic pulses – a type of radiation burst typically created by the detonation of a nuclear device high above the earth, which creates electrical and magnetic fields capable of destroying just about any and all modern electronics over a huge area. In today’s society, totally dependent on the ongoing functioning of the electrical and electronic devices that have become essential to every element of our survival, an EMP event would be as close to a total – and instantaneous – doomsday scenario as is anything else imaginable, likely or unlikely. Let’s talk about what an EMP is, how destructive it could be, and why it is of great appeal to enemy powers and terrorist groups. A subsequent article will talk about what measures we can take to protect us from the worst effects of an EMP attack. Typically, nuclear weapons are detonated either below ground (bunker busting type bombs), at ground level, or, for generally most optimum results, at very low altitude so as to create the largest blast radius and maximum damage. That is bad for us if we are nearby at the time, but the good news, for everyone else, is that these events don’t create measurable and widespread EMP effects. But if a nuclear device is detonated 50+ miles up into the atmosphere, a very different set of consequences flows through to us on the ground. The good news now is that the blast effects of the explosion may be close to negligible. 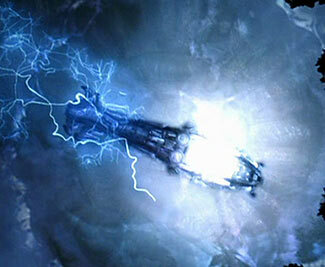 But the bad news is that the device will create a massive EMP effect, extending out over a much larger area. Although we talk of an EMP event as if it were a single thing, there are actually three components to an EMP. The first component is called the E1 pulse. When the bomb goes off, it releases a burst of gamma radiation. This gamma radiation knocks electrons out of air molecules in the upper atmosphere, about 60,000 – 125,000 ft above the earth’s surface. The electrons start to speed away and generally downwards, away from the force of the gamma radiation. But these charged particles then interact with the earth’s magnetic field before colliding with other atoms/molecules in the atmosphere. This interaction with the magnetic field sets up the E1 electro-magnetic component of the overall EMP effect. This is the part that generates the zapping/electronic destroying effects. The entire E1 event occurs very quickly, with particles traveling at close to the speed of light (186,000 miles every second). From start to finish is typically less than one thousandth of a second (and usually so fast – and so powerful – that any protective/overload circuits either don’t have time to respond or are overwhelmed by the strength of the pulse). The relatively good news is that the E2 component is relatively mild, and produces effects similar to interference caused by lightning flashes in a thunderstorm. It lasts up to a second. The problem with the E2 pulse is the E1 pulse that happened immediately prior to the E2 pulse has probably zapped protective devices like surge protectors, and so whereas the E2 pulse, by itself, would do little damage, when it follows an E1 pulse that has most likely zapped out all the protective devices, it becomes more dangerous. If anything survived the E1 pulse, it is now at risk of the E2 pulse effects. And now for the third component, which you can probably guess is called, of course, the E3 component. This is a much slower effect, lasting potentially five or more minutes. It is the result of the nuclear blast ‘pushing’ the earth’s magnetic field out of its normal alignment, and then the magnetic field returning back to its normal alignment (we hope!). This effect is similar to that caused by a solar storm. The E3 pulse is less dangerous to micro-electronics, but it is a huge problem for devices connected to ‘long conductors’ – think power and phone lines, and damage to power switching substations and the like. There are other effects too, primarily to do with the atmosphere’s ability to absorb or reflect radio waves, and these can go on for some hours, but are of less direct impact for most of us and provide little long-term harm to anyone or anything. So add it all up and you have the 1-2 knockout blow from the E1 and E2 pulses to destroy small electrical and electronic devices, and then the E3 pulse comes along to destroy high voltage/high current devices like the power grid’s transformers and other control circuitry. We end up with no electronics and no power either. Because an EMP device is detonated way high in the atmosphere, it can ‘see’ a very long way to its horizon – the point where the earth’s curvature protects the rest of the earth from its destructive effects. An EMP also has a surprisingly constantly strong effect over huge areas. It isn’t like the effects of a normal explosion that rapidly gets weaker as you get further away from it. 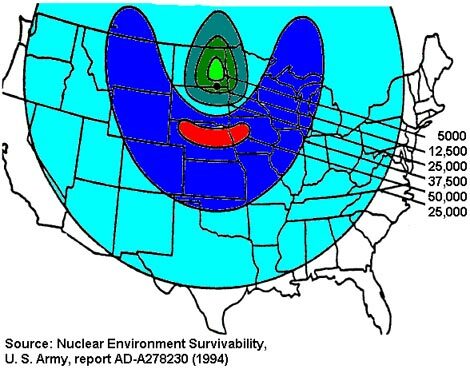 This is because the close in areas to the EMP detonation point are sort of maxed out (due to the atmosphere getting overloaded from all the gamma radiation and ‘shorting itself out’). The EMP pattern is also not symmetrical, because it interacts with the earth’s magnetic field. The gamma ray burst out of the bomb is probably symmetrical, but the electromagnetic field created by the electrons released by the gamma rays tend to spread out in a semi-circle directed towards the equator. 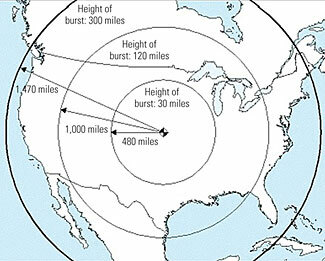 One single detonation, about 250 miles above the earth, and at a point more or less midway along the border between North and South Dakota would distribute dangerous levels of EMP pulse across almost the entire US. California, Florida, and the Eastern seaboard would be in fringe areas, as you can see on this map. This shows the spread of energy levels from an EMP pulse; the numbers are a measure of electrical strength in Volts/meter. Note that the uncolored outer parts of the map are not free of EMP effects. Instead, they simply have lesser amounts of E1 and E2 effects, and the E3 component has probably fried the entire country’s electrical grid anyway. It is probable that an EMP attack would probably have at least two devices detonating, some time apart – one a bit further southeast of the location on the above map to get the eastern part of the country, and the other a bit further southwest so as to be sure to give California a good toasting too. Here is another graphic which shows another set of suggested radii for EMP explosions at varying heights. Unfortunately, this graphic is not quite as sophisticated as the one above – it fails to allow for the distorting effect of the magnetic field and we draw your attention to it more to point out that it is incorrect rather than that it is correct, although the general concept of how far an EMP would be felt as related to the height of the explosion is useful to see. The E1 and E2 components of an EMP create a voltage across space. Think of two wires with a spark going between them. You probably know that the higher the voltage between them, the stronger the spark, and you probably also know that if the voltage is low enough, there will be no spark at all. It requires approximately 20,000 volts for a spark to travel one inch. Or, to put this another way, a one volt difference will spark across a 20,000th of an inch. Integrated circuits – the ‘chips’ in computers and other solid state controller devices – have shrunk in size down to as little as 10 nanometers between ‘wires’ in the chips, and with some new devices going down as low as 1.5 nanometers. There are 25,400 nanometers in an inch, so for a spark to travel 10 nanometers would require a potential difference of about 8 volts (in air). 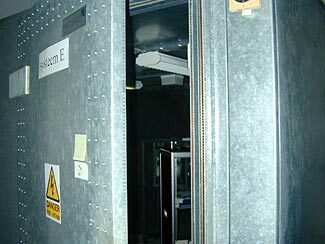 While EMPs don’t create that intensity of voltage (they are projected to run between about 20,000 – 50,000 volts per yard/meter, or about 500 – 1250 volts per inch), it is possible for wires in a chip and other wires connected to the chip to act as ‘antennas’, and just like a radio antenna that magnifies and feeds in the signal of the radio waves to a radio receiver, these antennas can inadvertently and unavoidably magnify the EMP signal and then feed it into the chip, readily allowing voltages much greater than 8 volts to then arc across the circuitry and ‘fry’ the device. The increasing miniaturization and closer and closer packing of components in chips is reducing the amount of voltage needed to arc across from one wire/component to another, with the arcing damaging/destroying the circuits in the process (as you can probably guess, with computer chips there is really no such thing as a ‘damaged’ chip – it either works or doesn’t work – even a small measure of damage is enough to destroy the device’s overall functionality). The lower the voltage, the more likely it is that whatever amount of EMP induced voltage there is ‘out there’ that gets carried in to the device will be sufficient to destroy it. We mentioned, above, that state of the art now involves distances in the order of 10 nanometers (requiring an 8 V potential difference for arcing to occur). Compare that to the early computers of not quite 30 years ago – the 8088 chip had 3,000 nanometer circuitry – 300 times more widely spaced, and requiring about 2500 V to arc across it. So in less than 30 years, our computerized equipment has become 300 times more vulnerable to EMP effects. Progress is a funny thing, isn’t it. There’s another factor at work, too. Thirty years ago (we’re using this time period at random – choose any other time period you like and adjust appropriately) computers were still rare, and most devices were ‘analog’ rather than ‘digital’. Cars had points and coils rather than electronic ignition, and had no computer controllers in them at all. Maybe a 30-year-old car exposed to a high level E1/2 pulse might have part of its coil short out, or arcing over the contacts in its points, but those are minor issues requiring minimal repair work to restore the car to working order. What happens to a modern car (or bus or truck or plane or boat any other vehicle at all) when its multiple computer control circuits are all fried? Do you even know how many computers are in a typical car these days? Typically anywhere from perhaps 30 or so in a basic car up to 100 or more in a fully optioned up-market car. It isn’t just transportation. Look around your house. The same ‘stealth’ proliferation of computers is occurring everywhere. Even such basic things as your phone has gone from totally analog and mechanical (remember rotary dial telephones?) to computerized, and the same can be said for your stove, your fridge, your heating thermostat, and many other things where you’ve taken for granted the evolution from mechanical controls to electronic controls without even thinking about it. 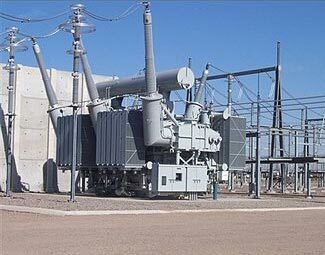 The problem of an EMP pulse extends beyond the destruction of much electrical and electronic equipment and control circuitry. What happens to the devices that these circuits are controlling when the circuits themselves suddenly fail? If you are driving your car down the road, you are probably okay. Your engine will fail, you’ll lose your power steering and power brakes, but you should be able to step hard on the brake pedal and wrestle the steering wheel to pull your car over and to a safe stop. But what if you are in a plane? What happens when not only its engines fail, but so too do the flight management and control surface computers? What happens when your freezer fails? You lose all the food in it. What happens when the pumping circuitry at the city water supply fails? You lose fresh water. What happens when the cool store refrigeration fails? Up to a year’s worth of apples, potatoes, whatever, all start to rapidly spoil – and, with no working trucks, there’s no way to get them to the markets and for people to do something with them. What happens when the banking system’s computers all fail? How does your employer get money to pay you? What do you do for cash with ATM machines frozen, and bank vaults unable to be opened, and even if the banks could open their vaults, how would they know how much money to give you without being able to access your account records? Indeed, if you have any sort of job that involves any sort of computerization (in other words, just about every job out there now!) your employer is going to be struggling to remain in business. Maybe you’ll not have a job any more. What happens when the computerized equipment used to make medicines fail? What happens when the control circuitry at the local nuclear power station fails (or starts to give erroneous commands)? And so on and so on. It isn’t just the loss of the control functions, but the consequences that impact on the things they were controlling that will be harmful to us too. People too often think of how to survive an EMP attack in terms of a ‘single strike’ – that is, of only one EMP detonation occurring. But if you were an enemy nation or terrorist group, and if you had multiple nuclear devices (it seems that any and every power that has one nuclear weapon has many more than one) why would you content yourself with a single EMP attack? Wouldn’t it make sense to trigger a second EMP a few days after the first EMP – this second event would then take out all the reserve and protected equipment that had been subsequently deployed and were now being pressed into service. Maybe also some partially hardened devices had survived the first attack, but in a damaged/weakened form. Perhaps half the national electricity grid was still operating (very unlikely, but we can always hope). A second EMP could overwhelm and complete the destruction of devices that were partially impaired with the first EMP attack. To put it more colorfully, a first EMP could bomb us back to a level of technological deployment similar to the mid/late nineteenth century. A second EMP truly would take us back to the stone age (okay, so we slightly exaggerate, but you get the point). The concept of a delayed follow-up attack is already well enshrined in warfare. World War 2 saw aerial bombing of cities with a mix of regular bombs and delayed action bombs, with the intention being the delayed action bombs, when they too exploded, would take out the cities’ first responder and damage control teams. But wait, there’s more. If two, why not three? Four? The reality is that as soon as a single EMP attack occurs, we have to plan to live a life that has an ever-present ongoing danger of future EMP attacks, too. This consideration massively complicates the creation of a comprehensive prepping plan to survive multiple EMP attacks. The most obvious appeal of an EMP type of attack is that it would be more colossally devastating to the US than any other form of nuclear attack. This is the other side of the coin – the more we expose ourselves and make our country vulnerable to an EMP attack, the more attractive and more likely one becomes. There are other reasons that also encourage our enemies to consider an EMP attack. An EMP style of nuclear device is probably the easiest type of nuclear device to construct, and doesn’t need to be very powerful – a country with only a limited amount of uranium could use it to make more EMP bombs than regular bombs. An EMP style of attack also doesn’t need precise targeting. A much cruder type of missile can be used to convey the bomb from wherever it may be launched, with CEP accuracy of as much as 100 miles (ie having the missile detonate anywhere in a 100 mile radius of its target point) being more than adequate. Whereas missiles aimed at hardened targets need CEP accuracy in the order of tens of yards, and missiles aimed at population centers need to have accuracy of perhaps 5 miles or so, an EMP device has no such constraints, making for a massive reduction in the complicated process of delivering a missile to its target. So if you were a terrorist group, or an enemy state, which would you prefer? Two EMP bombs that between them would totally wipe out all industry and electronics across the entire US, a loss which would take years if not decades to recover from, or a single bomb that would destroy much but not all of only one major city? There’s another aspect to this as well. A traditional nuclear attack on typical targets would damage the country, for sure, but those parts of the country unharmed would be, well, unharmed, as would those parts of our military forces, leaving us with the ability to mount a conventional or nuclear return attack on the attacker (assuming we knew who and where the enemy was, of course). But an EMP attack would zero out much of our advanced technology, and these days our armed services is all about technologically based ‘force multipliers’. If our armed services lost all their fancy comms and data and GPS type capabilities, all their night-sights and other gadgetry, they’d be ill-equipped to take on other forces around the world, making our ability to stage a counter-attack much less certain. It is true that the military continue to research and develop ‘hardening’ capabilities to make some of their equipment somewhat EMP resilient. But their procedures embody some assumptions about the maximum possible levels of EMP that need to be withstood, and these assumptions may not be fully correct. Furthermore, the nature of inter-locking dependencies in our modern world is such that, in the armed services and in society in general, failures of just one system may render many other systems inoperable. A 90% resiliency to an EMP attack doesn’t mean the forces maintain a 90% effectiveness rate; their effectiveness might drop to 50% or even to 10%. So, selecting an EMP type of attack seems an easy and obvious choice for a terrorist, doesn’t it. Unfortunately. 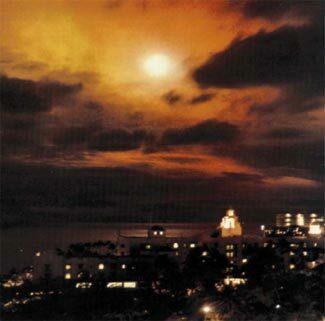 As for us as preppers, while we might carefully choose a retreat location so as to be well removed from obvious nuclear targets, there is nowhere in North America where we’d be safely away from the effects of an EMP based attack. We will write subsequently about what can be done to minimize the impacts of an EMP attack.